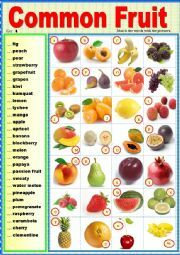 Common fruit. Matching ex + key. 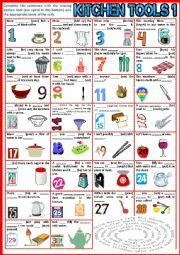 A reading comprehension exercise that can be used as a test as well. Ss have to tick R/W or ?. Then there is an answering questions and a vocabulary exercise. They also have to find synonyms in the text. Hope you like it. Have a nice day. Watch and listen Leonardo DiCaprio about WATER !! Living in the desert. 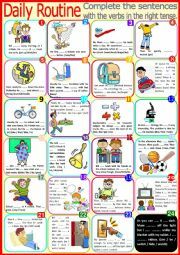 A nice EASY READER for beginner and intermediate level. A very nice story dealing with what life is like in the desert. It is aimed at young learners. Followed by easy questions, answers must be found in the text. 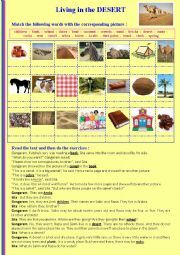 Then a match the picture vocabulary exercise. 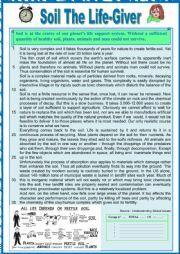 Right and wrong questions + extra vocabulary. KEY included of course. Hope you´ll like it. Hugs !! Varied vocabulary exercises related to animals for and intermediate ss. Key is included. 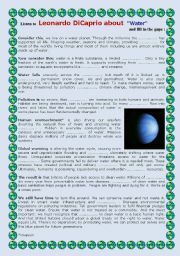 A simple worksheet to study or revise vocabulary. Ss have to complete the words. This time I started a series on fish. 4 pictionaries focussed on vocabulary. 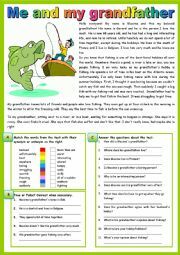 An easy reader + comprehension questions and vocabulary work. 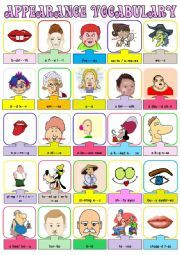 To finish for the more advanced, sentences that students need to complete and match with the suitable pictures. Key is provided.